BRIDGES is accepting applications for AmeriCorps summer 2019 positions! Through AmeriCorps, you can build your community and inspire youth from across the Mid-South. BRIDGES AmeriCorps members are service-minded individuals who are seeking a life-changing experience working with youth leaders in the Greater Memphis area. AmeriCorps members who commit to a summer of service (approximately 350-400 hours) play a vital role in the Bridge Builders summer leadership conferences. 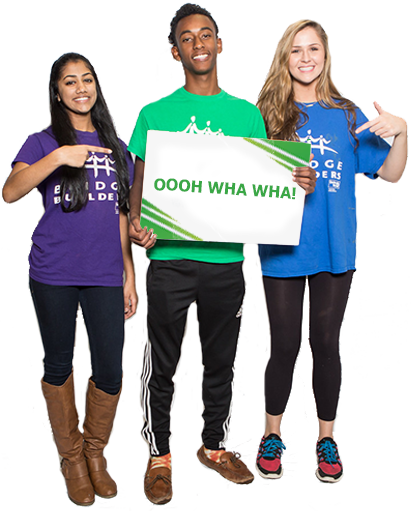 Members receive extensive training from BRIDGES staff and serve 40+ hours per week during the summer (June-July). Members also receive a living stipend and are eligible for an education award upon completion of the service term.